Evan is deeply committed to inner work and healing. What distinguishes Evan’s work from others in the field of counselling and psychotherapy is a body-oriented approach. Evan is trained in a sophisticated trauma healing model called Somatic Experiencing (SE). SE takes the therapeutic work from an exclusively “talk therapy” approach, and focuses it in the experience of the body SE offers a physiological understanding of trauma and stress, as well as other common mental health challenges, such as depression and anxiety. SE focuses its work in the nervous system, supporting it to come into balance which results in a deeper sense of safety, calm, and vitality. SE understands that the nervous system is inherently self-healing. The challenge is that our intelligent brains have the ability to override these natural healing mechanisms. SE seeks to safely allow these healing processes to unfold in the body. 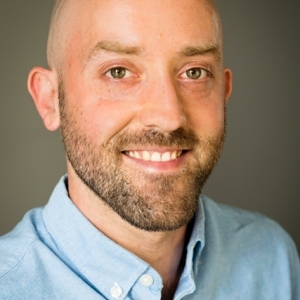 Evan also offers mindfulness-informed psychotherapy, using Acceptance and Commitment Therapy, Solution-Focused Therapy, as well as Narrative Therapy. Concerns that someone may seek Evan’s support for include trauma from physical injury (e.g. falls, automobile accident), psychological/emotional trauma, spiritual concerns, depression, anxiety, grief, loneliness, relationship challenges, or feelings of a lack of fulfillment. Evan also offers coaching in mindfulness and meditation. Free 15-minute consultations available to see if you feel that Evan is a good match for you. I work with a body-oriented perspective to address the psychological, emotional, physiological, and spiritual impacts of the challenges faced in human life. My approach employs awareness of the felt sense of the body to address the underlying physiological disruptions that are involved in states such as, but not limited to, depression, anxiety, fear, stress, and trauma. Parts of one’s self can become fragmented, leaving a sense of being disconnected from self, other people, and the world, and can also lead to a feeling of being less alive. My approach is aimed at reclaiming these parts, with the goal of feeling a full of life, connected, and safe.